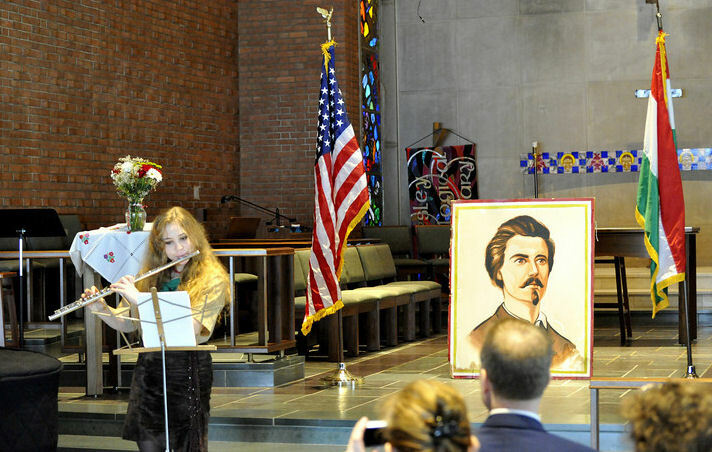 3/11/2012 - AHF commemorates Hungarian National Day and the 1848 War of Independence. 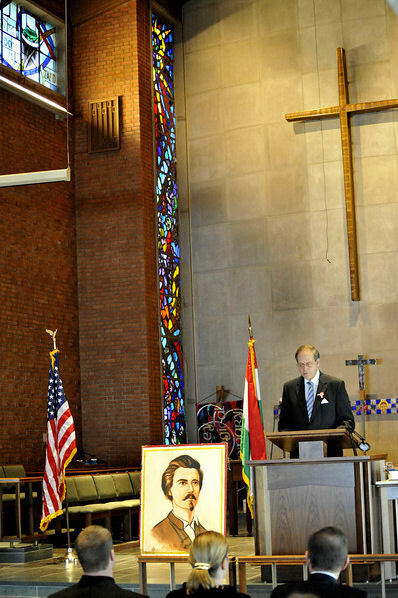 The commemoration emphasized Hungary's revered history of standing up for freedom and liberty against great odds, including in 1848 – 1849, and urged that this history not be defamed through political expediency. 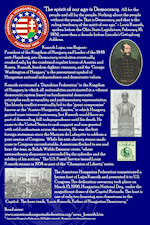 The 1848 Hungarian Revolution, under its leader Louis Kossuth sought to throw off the Austrian Yoke. It failed after Russian intervention, but its impact on the United States is felt even today. 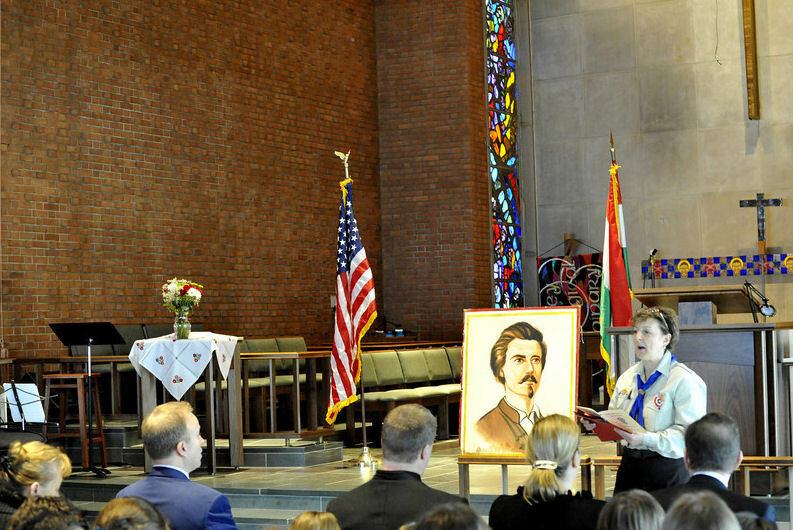 The annual commemoration of 1848, organized by the Washington, D.C. Chapter of the American Hungarian Federation was held this year on March 11th at the American University Kay Spiritual Center. Similar events were held across the country. 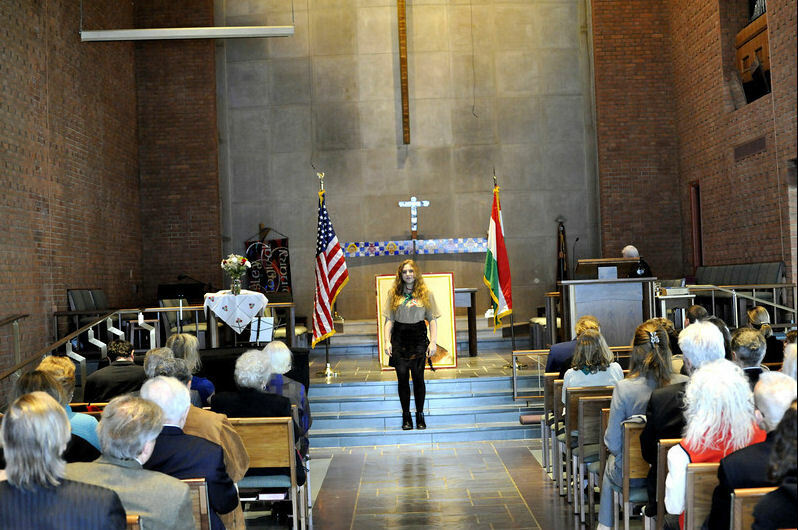 Each year, speakers focus on the significance of the 1848 revolution and how its ideals and goals relate to today's Hungary. 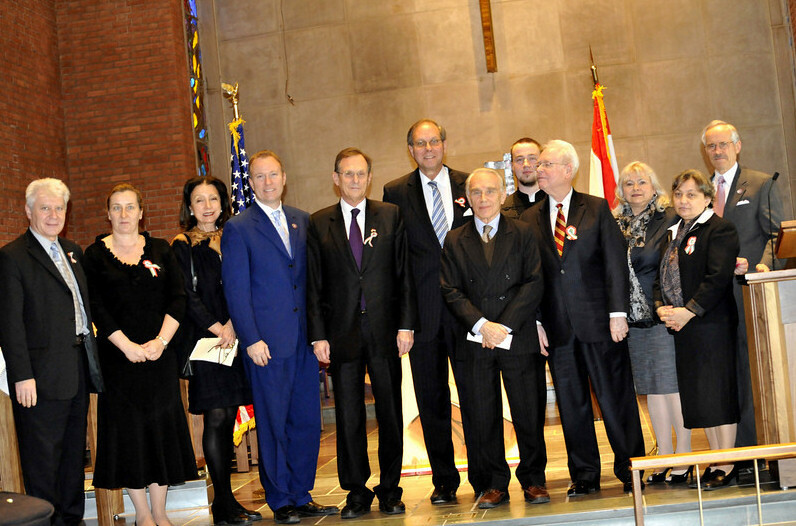 Zoltán Bagdy, AHF Co-President and Chair of its Cultural Affairs Committee, welcomed guests and served as Master of Ceremonies. 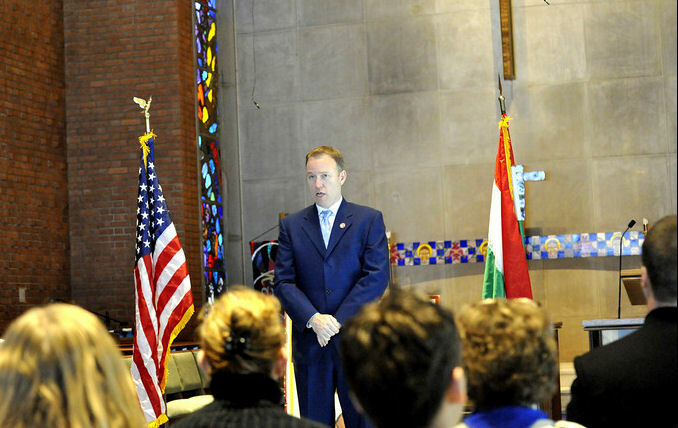 Bryan Dawson, AHF Executive Chairman, sang the national anthems of the United States and Hungary and would later deliver the Keynote Address (Ünnepi Beszéd). 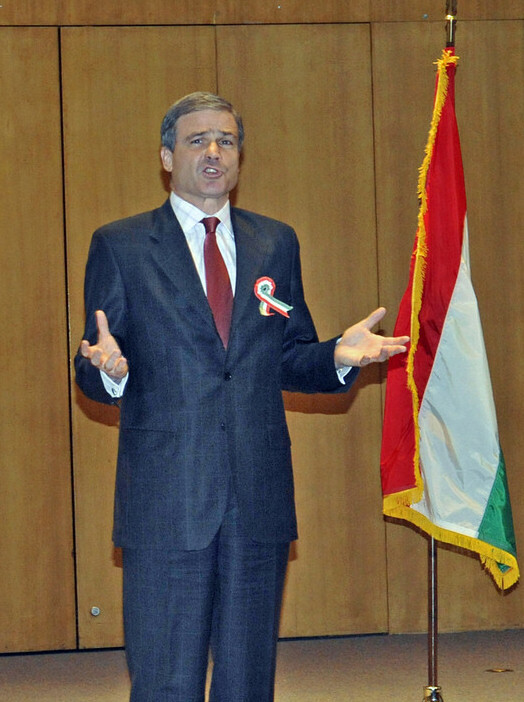 AHF President Frank Koszorus, Jr., delivered his annual "Reflections" address which this year focused on Kossuth's affect on the relationship between Hungary and the United States, the need to protect Hungary's international reputation, and the extreme negative affects on that reputation when poltical motivations outweigh honest debate. 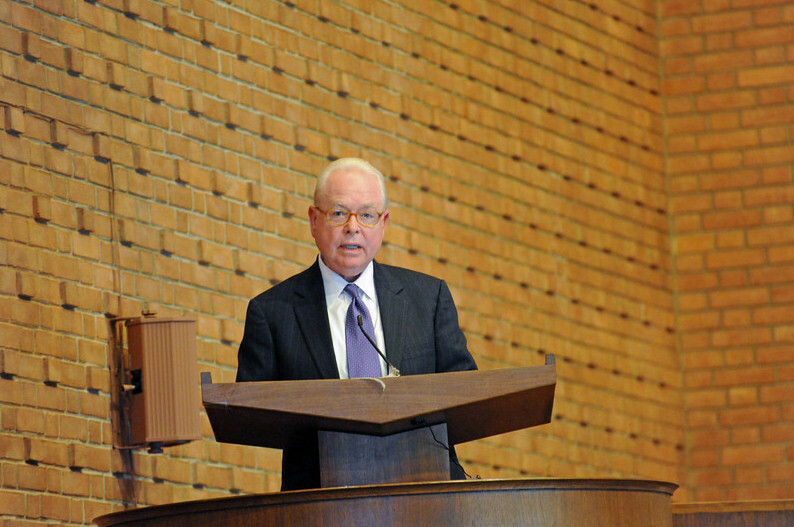 Bryan Dawson, AHF Executive Chairman, Committee delivered the 2012 Keynote Address entitled, "Novus Scotus Viator: A Case for a Kossuth-style Worldview in 2012." 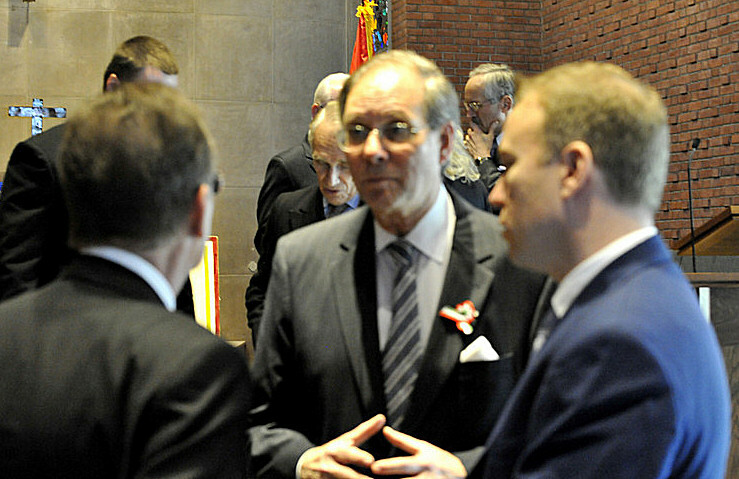 [download Bryan's speech (English and Hungarian)]. 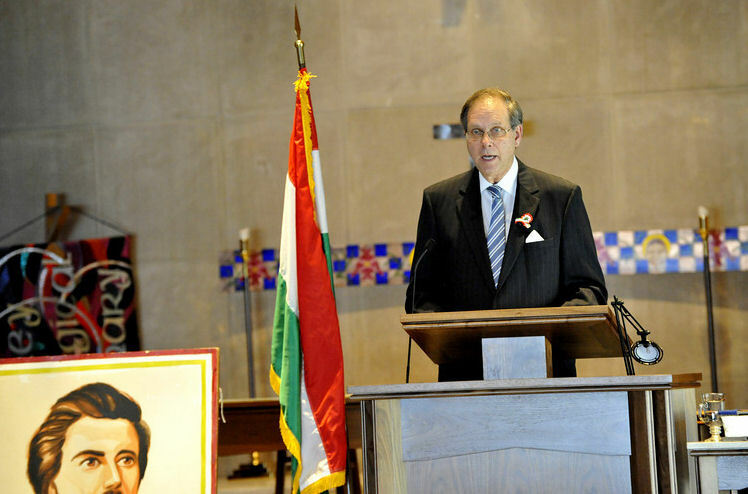 "Kossuth understood the impact on external forces to Hungarian aspirations for sovereignty and independence. This broad worldview would guide his governance and strategy. 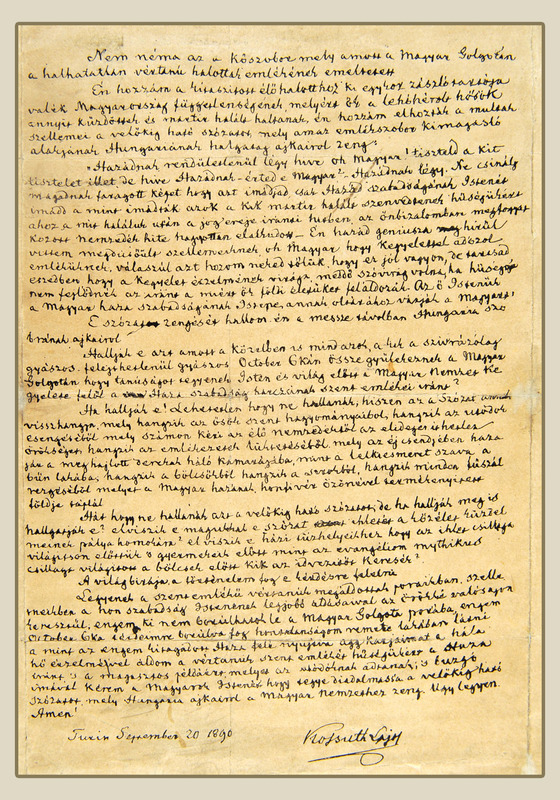 As external forces continue their subtle and often overt attacks on Hungary, it is Kossuth’s sophisticated worldview we need today." "Kossuth knew that an independent Hungary, a republic in the days of emperors in the heart of Europe, would be perceived as a challenge to the balance of power in Europe which had undergone tremendous upheaval. The Congress of Vienna in 1815 sought to deal with the after effects of the Napoleonic Wars, the French Revolutionary Wars, and the disintegration of the Holy Roman Empire, which had lasted almost 850 years. Borders were redrawn and the European powers, many of whom emerged from 25 years of constant warfare, were obsessed with establishing and maintaining a new balance of power. Britain, for example, saw survival of the Austrian Empire as key to this strategy. An independent Hungary could result in the break-up of the Austrian Empire and tip the balance of power. Kossuth understood this. The 1848 War of Independence crushed, he still sought ways to throw off the Austrian yoke and envisioned a new order to replace the Habsburgs: A Danubian Confederation. He intended to accommodate the forces of nationalism within the Danubian basin while preserving Hungary's territorial integrity and replacing Austria's position in the European balance of power." 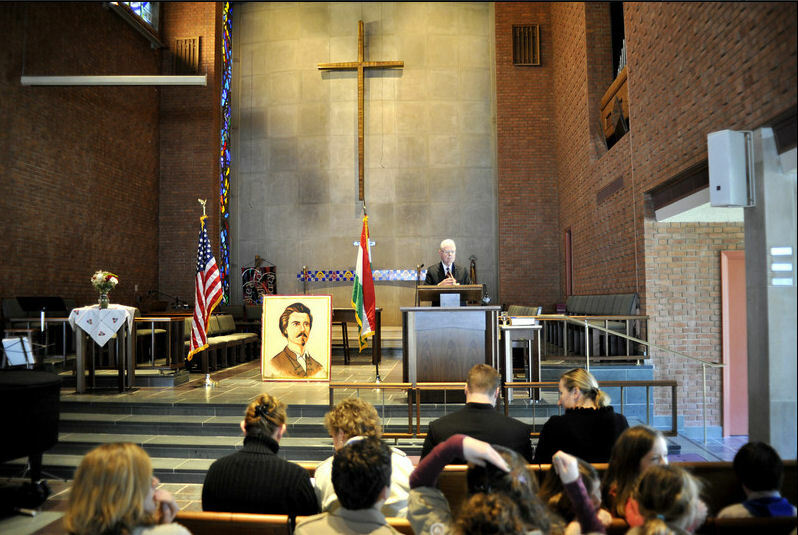 Bryan discussed the rise of nationalism in the late 1800's through early 1900's and the role of external forces, who now saw Hungary as a threat and manipulated ethnic tensions to Hungary's detriment. 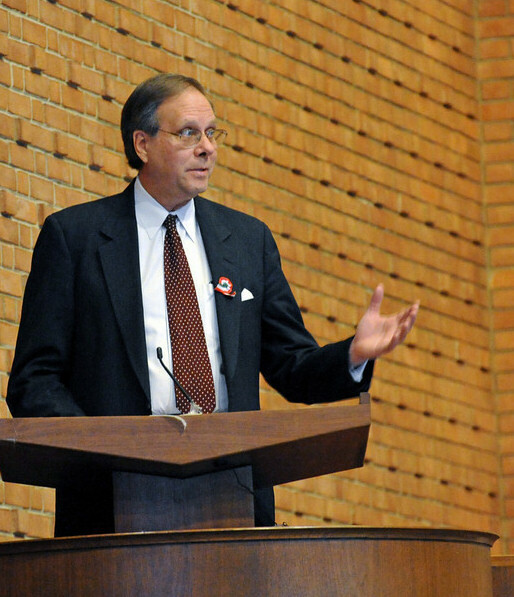 He compared the efforts of Robert Seton-Watson, writing under his pen name "Scotus Viator," who, along with Henry Wickham Steed as part of official British policy, greatly influenced negative attitudes toward Hungary, to today's baseless attacks. He feels Hungary did not react well to these external forces and added that history seems to be repeating itself today with a new cadre of Scotus Viators against which there seems no effective strategy. 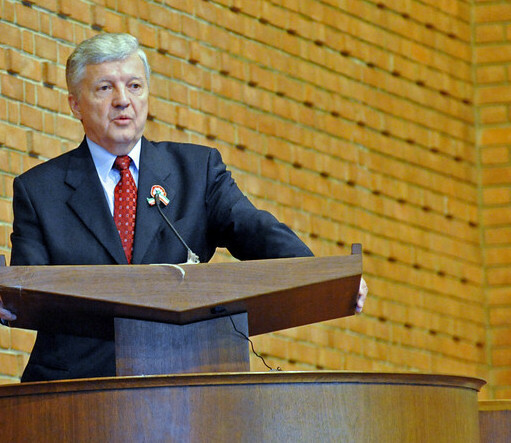 "Yes, Hungary is still under attack –Scotus Viator is alive and well. While the EU and media ignore the gross violations of human rights and dignity and anti-Hungarian pogroms across the Carpathian Basin, these same entities sue Hungary over inane internal policies such as the lowering of judge retirement age. As we saw with Scotus Viator, the media reprints baseless criticisms as fact. The new set of “Scotus Viators” recently accused Hungary of banning international media outlets, such as CNN, who informed the Federation that this allegation was false." 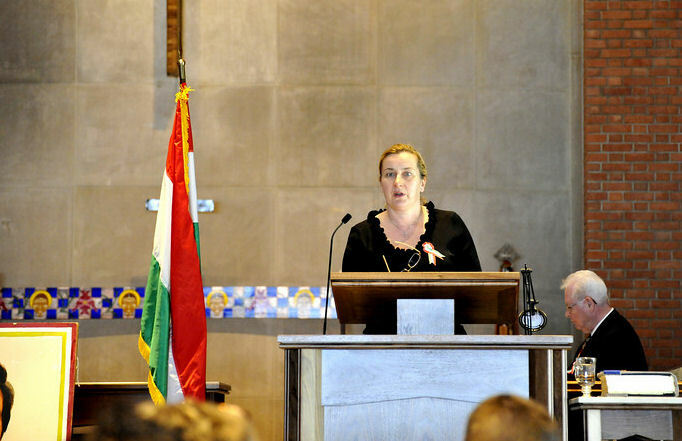 "Hungary remains divided with entire generations who could care less about their civic duty, their history, or their brothers on the other side of the border." While the EU and media harshly criticize Hungary for lowering judge retirement age, an internal policy decision, they ignore egregious attacks on human and minority rights. He closed the speech referring back to Franklin and Nietsche and reminding us that hope alone is not a strategy and cannot bring change. We need hard work and Kossuthesque eloquence and "solidity of action." 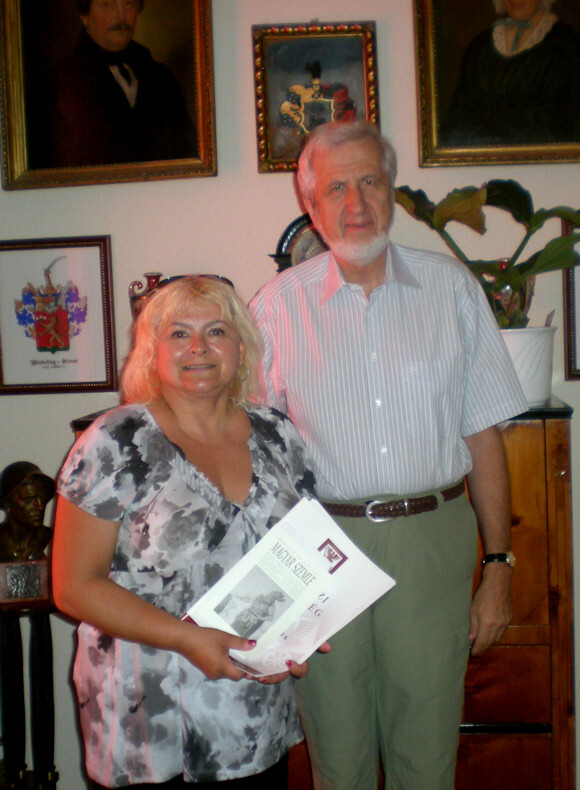 "Here we are in 2012 remembering Kossuth and his moral acts. What would Kossuth do today? What will we do? We mustn’t live in hope as many will die fasting. We mustn’t quit. We must work in unity to bring about change lest we capitulate to Nietzsche and prolong the torment of our nation." "The issues we raise are common ground issues. They are not left vs. right, liberal vs. conservative. Human and minority rights are simply a question of right vs. wrong." 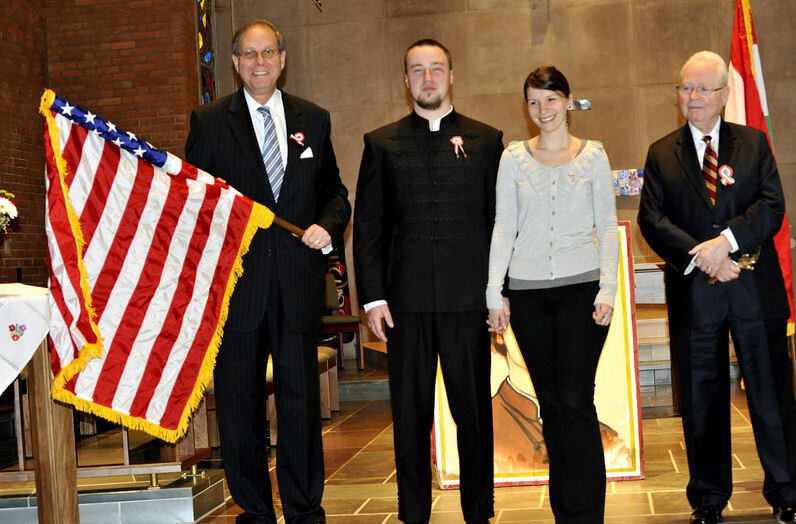 Members of the the The 4th Bátori József Hungarian Scouts Troop of Washington, DC seen here (photo courtesty of MTI Pogár Demeter), provided a major part of the program which included a poetic re-enactment of the beginnings of the 1848 Revolution, including Hargitai Adam who recited Petőfi Sándor's Nemzeti Dal. 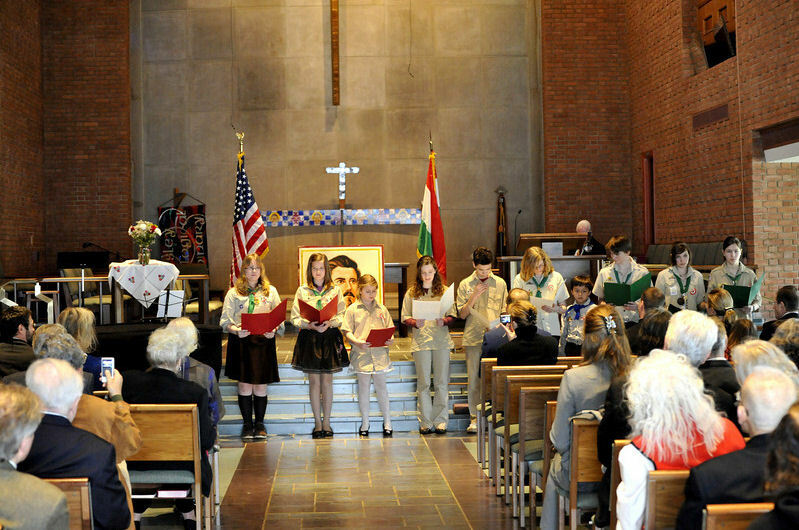 The Scouts then led the audience in the patriotic Kosuth Dalok (Kossuth Songs). The Revs. 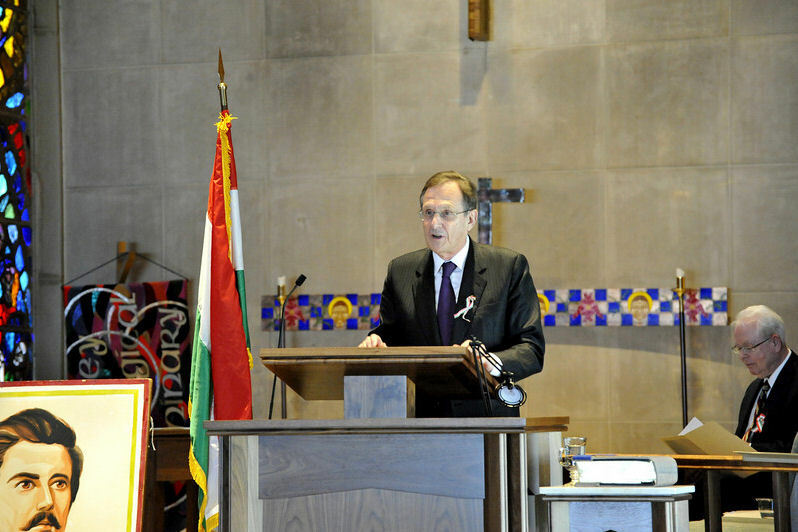 Peter Pal Cegledi and Judit Mayer of the Hungarian Reformed Church of Washington, D.C., provided the benediction and closing remarks respectively - Bryan Dawson. 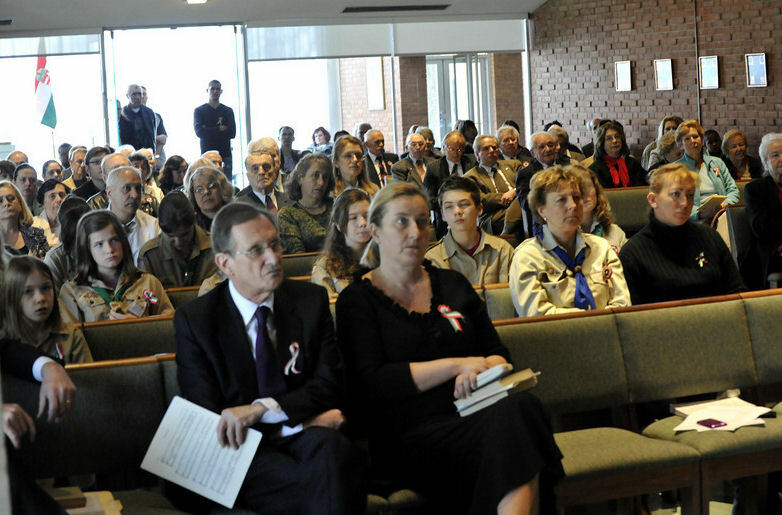 Photos below are of the 2011 Ceremony courtesy of Dr. Imre Nemeth.